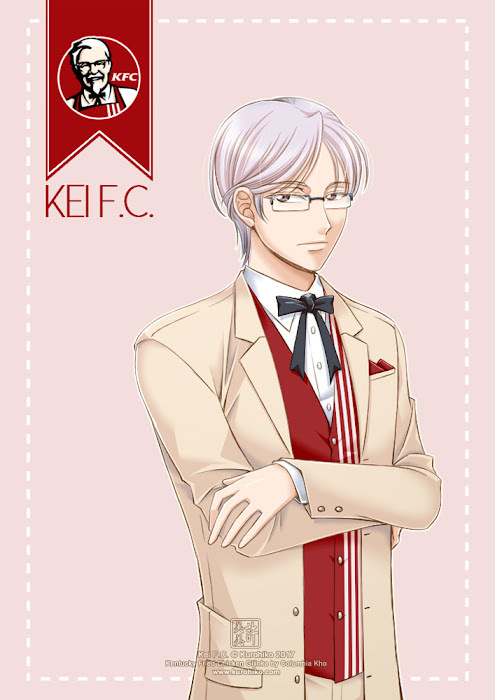 黑火子 ~Kurohiko: Gijinka #3: Kentucky Fried Chicken "Kei"
I gave Kei a bit of an update from his original design. He looks bored with my shenanigans though, and I feel a little, teeny bit sorry for him! But he seems to have a lot of fans, so I thought I should draw him again while I think of designs for the other cafes!